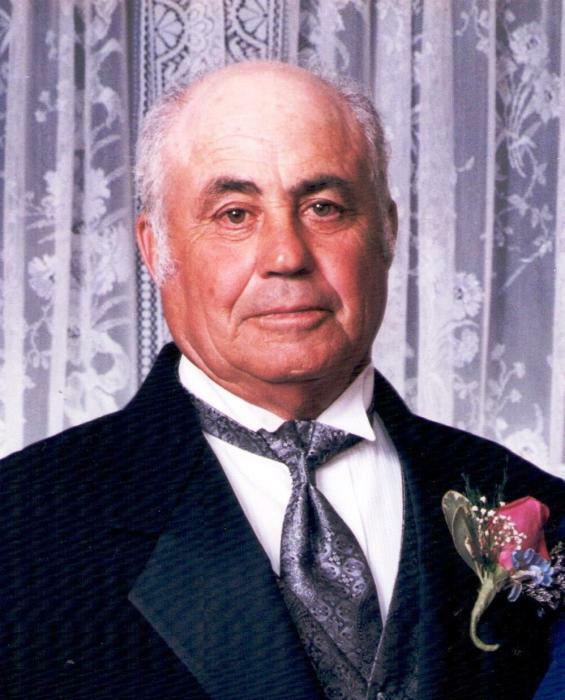 Obituary for Humberto Melo Pacheco | George C. Lima Funeral Home, Inc.
Humberto Melo Pacheco, 83, of Monroe Avenue passed away on April 11, 2019 at home. He was the husband of Maria (Ramos) Pacheco. Born in Fenais da Ajuda, St. Michael, Azores, he was the son of the late Jose Raposo and Rosalina (Melo) Pacheco. In addition to his wife, he is survived by his children Joseph Pacheco of Warren, Francis Pacheco and his wife Darcy of Sacramento CA, James Pacheco and his partner Sandra of St. Cloud FL, Ann Marie Withers and her husband Peter of Warren, Lisa Kaiser and her husband Shawn of Swansea MA and grandchildren Samuel Pacheco, Christina Pacheco, Adam Pacheco, Madison Withers, Sarah Withers and Sydney Withers. He was the father of the late David Pacheco and brother of the late Jose Pacheco, Francisco Raposo and Hermano Mello. Mr. Pacheco was educated in Portugal and a dairy farmer for 42 years before retiring. His funeral services will be held Tuesday, April 16th, 10 AM from the George Lima Funeral Home 367 High Street with a Mass of Christian Burial, 11 AM at St. Elizabeth’s Church 577 Wood Street. Burial will follow in St. Mary’s Cemetery. Calling hours are Monday 4 -8 PM.